Congratulations to the Graduates of Wellspring’s Front Office Professional Pilot Program! 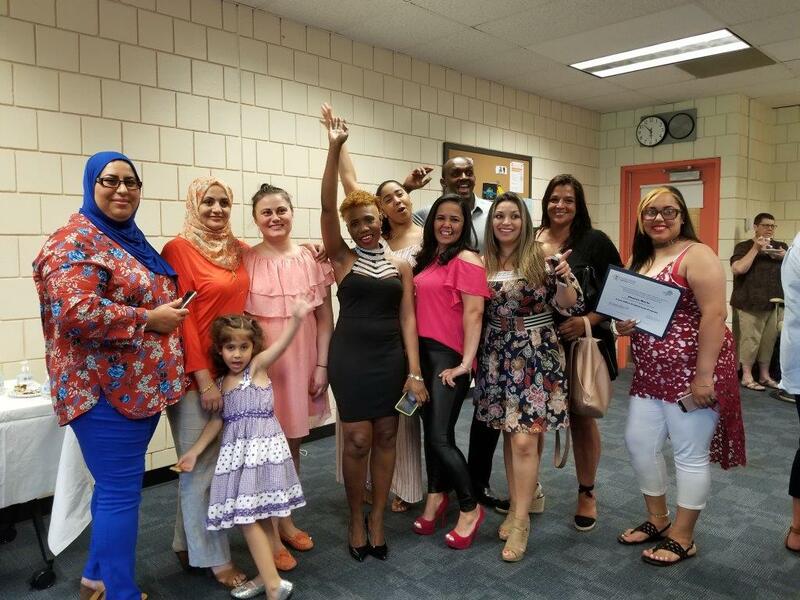 The Front Office Professional-Ability to Benefit program graduated its first class on July 12th, 2018! The graduation ceremony was held in their classroom in the Lynn Campus of North Shore Community College. The College President, Vice President, Dean, and Melissa Dimond; in addition to a class representative, Susan Darosa; spoke at the event. Many family members were also in attendance. All of the graduates are planning on further study at NSCC in both the credit and noncredit programs. The students have expressed interest in a wide variety of career paths including: Healthcare, Accounting, Human Resources, Machine Tool Technology, Social Work and Paralegal. The event was quite emotional and we wish this group great success! Wellspring will continue to keep in touch with these students by providing wrap around services to help ensure their progress in reaching these goals.